Another delicious recipe from Julia Della Croce's book Roma - Authentic Recipes From In And Around The Eternal City, this is very easy to prepare and made for a great side dish for the Chicken Cooked with Vinegar recipe I posted earlier. 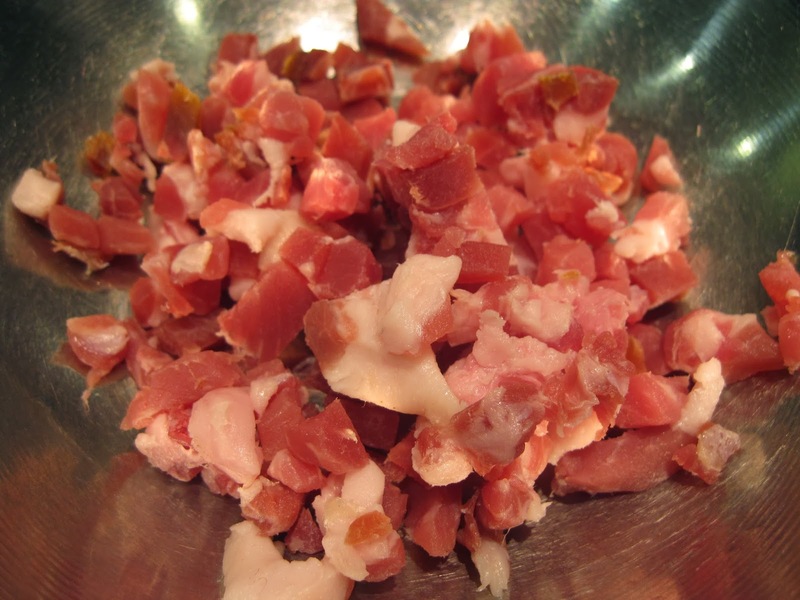 Thin sliced proscuitto won't work as well as a chunk that you can dice yourself. 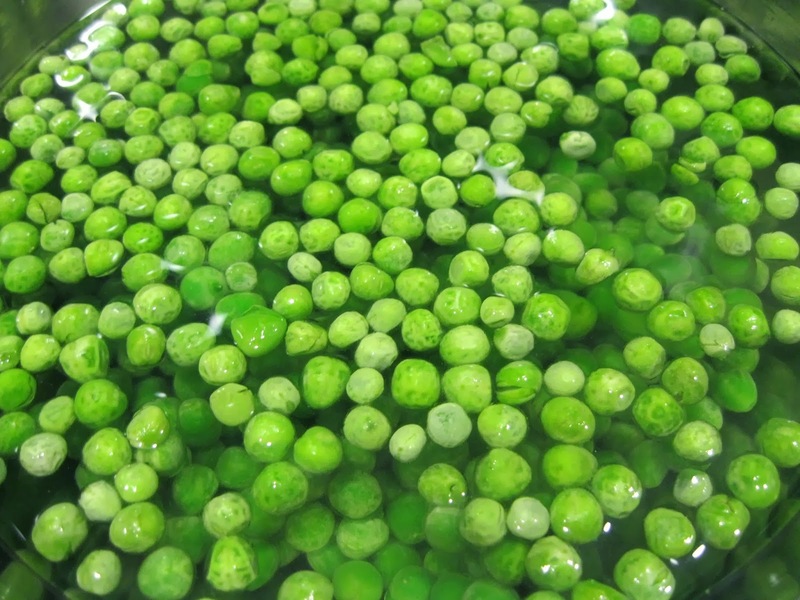 And although fresh English peas would be great too, frozen peas work just as well. In a medium saucepan, warm the olive oil over medium-low heat. Add the onion and increase the heat to medium. 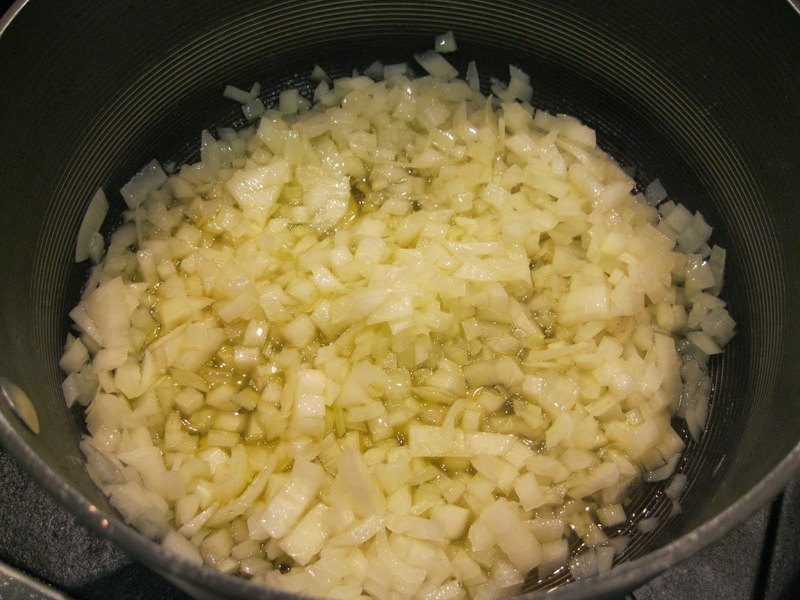 Sauté until the onion is soft but not colored, 4 to 5 minutes. 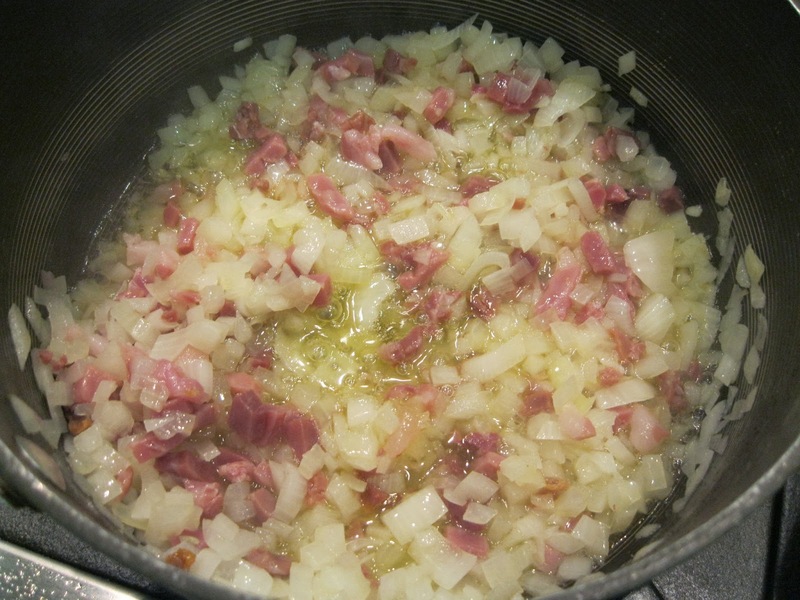 Stir in the prosciutto and sauté for a couple of minutes. Add the peas and mint. Stir in the water. 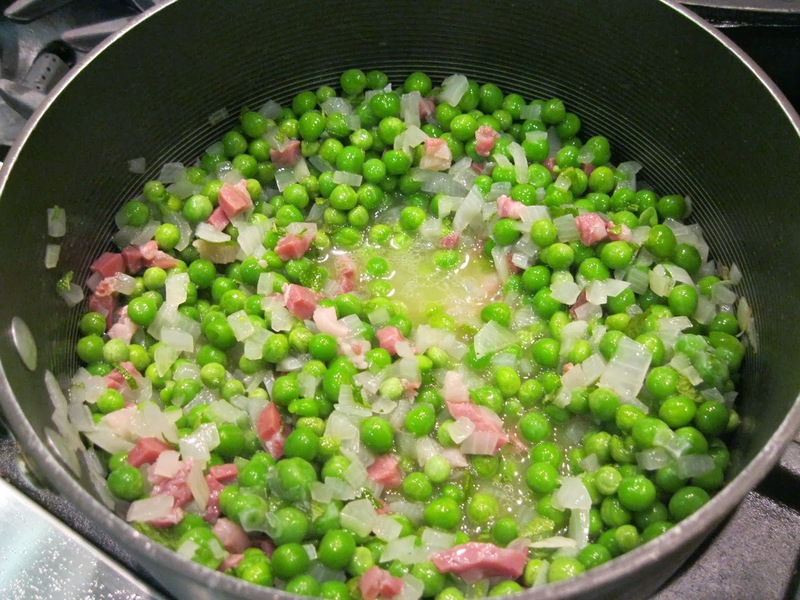 Cover and cook, stirring occasionally, until the peas are tender and most of the liquid is evaporated, about 15 minutes. Season with salt and pepper, serve.